Hardly a day goes by when nine-year-old Laurent Lepage doesn't cry wolf. His boundless sense of adventure and vivid imagination mean he has a tendency to concoct stories so extraordinary and so far-fetched that no one can possibly believe him. But when Laurent disappears, former Chief Inspector Armand Gamache is faced with the possibility that one of his tall tales might have been true. So begins a frantic search for the boy and the truth. And what Gamache uncovers deep in the forest leads back to crimes of the past, betrayal and murder, with more sinister consequences than anyone could have possibly imagined . . .
Louise Penny ist in Toronto geboren und aufgewachsen. 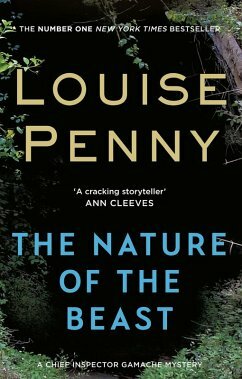 Die Presse nennt sie "die kanadische Elizabeth George": Louise Penny arbeitete lange Zeit als Rundfunkjournalistin, bis ihr Aufsehen erregendes Krimi-Debüt auf Anhieb zum international preisgekrönten Bestseller wurde. Inzwischen lebt die Autorin bei Sutton in Quebec.